Beautiful Pokhara, NepalsteemCreated with Sketch. Well It is the view from the the new place I am for my higher studies and what cheers me up even being far from my home. 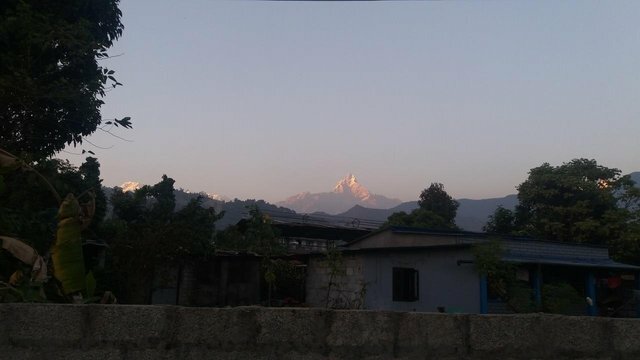 Well it is view of beautiful mountains of Pokhara. I exaclty don't know the name of the mountain ranges. But I guess the mountain see on the image is Annapurna range. The view is truely beautiful and gives you heavenly pleasure.